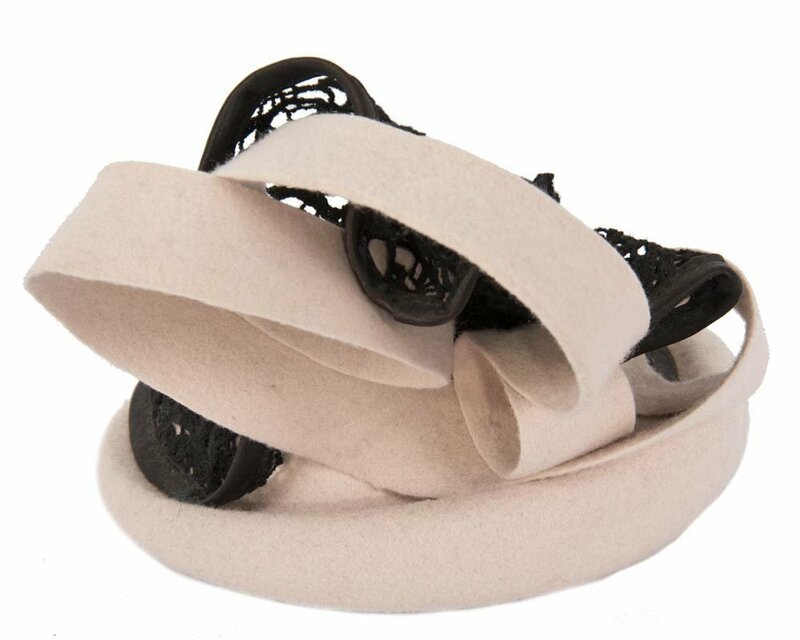 This felt fascinator hat is hand made from pure beige wool felt with black lace trim. It has an elastic band for comfortable fit. Please note, we make this winter fascinator to order, please allow few days for creation of yours. 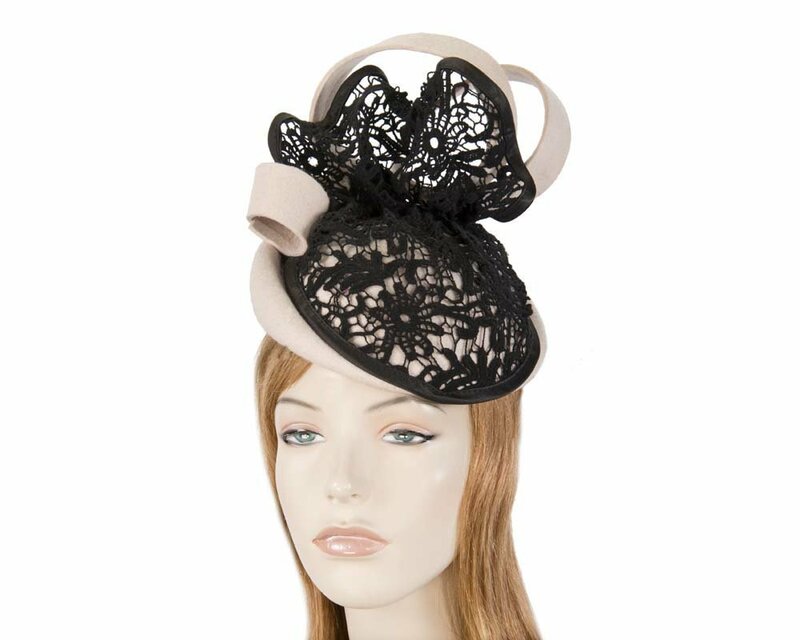 Unsurpassed quality and unique designs only at Hats From OZ — largest online ladies hats and fascinators store.